Play a tournament on more than 130 golfcourses in the Czech Republic, Slovakia, Austria, Germany, Poland, Hungary, Italy, Slovenia and Croatia for a single tournament price 850 ,- CZK / 33 ,- EUR / 140 ,- PLN/ 10200 ,-HUF. Here are the rules and answers to frequently asked questions here. Thank you for the wonderful season of 2018. We shared a lot of experiences with you, met a great deal of incredibly positive-minded people, and enjoyed lots of exquisite golf playing on great golf courses. Let me just summarize things a bit and show my appreciation for all of you. The idea to start the Tour, much as it differs from common formats established in Central Europe, occurred to us aboard a train from Brno to Prague, sometime in June 2017. Before long, things gained momentum: Excel files were filling with contact details of clubs, lots of phone calls were made, with us explaining the format, making appointments, spending countless hours fine tuning the tournament calendar, designing the website, having the visual style and logotype ready so that we could present the idea in October 2017 both to clubs and and the golf public. We travelled roughly 16,000 kilometres and spent some 700 hours addressing every small detail. Our big "thank you" goes to the clubs involved: they understood our idea, identified with it, were willing to spare time to talk to us. They were willing to try out something new, unique and unknown at the same time. Surely, there were also sites where the Tour wasn&apos;t a smash hit right from the start, but we still believe the players will grow in numbers and the clubs will find the Tour a must-have for their seasons of 2019, 2020, or say 2030. We spent the year fine tuning just about everything: we listened to your ideas, got feedback and, well, played golf too. The culmination was the final tournament in Ostravica on Friday and Saturday 12 to 13 October 2018. There are hardly words that match the feelings about the finals. We enjoyed the event with you: we drove some 50 km on golf buggies on those two days and saw you have great fun, at least as much as we did. There were almost 100 of you there, and a lot of you brought along your caddies, friends, and partners. We really wish to thank you a lot for this. We tried to design a tournament format that would make a difference, and that involved some unconventional contests (the Water Goblin came sure as a great surprise to some). Wine, beer, some stronger beverages but also soft drinks were drunk in large volumes and food was eaten in great amounts. Lots of things happened, with some stories better kept private. But looking at the photos and videos, I&apos;m so glad we didn&apos;t give up on that crazy idea a year ago. Let&apos;s not be complacent: we have already some cool stuff ready for the 2019 finals. The preparation for the 2019 season is well underway: the tournament calendar keeps filling with new entries, so you can enjoy having some new clubs on the list. The tournament will spread all across Austria, with some new clubs added in Poland as well. Our intention for 2020 is to expand to Italy and Slovenia as well. We will be most grateful if you keep playing in 2019 and tell your friends about the Tour because it is intended for all golfers alike, designed to have them meet one another in lots of tournaments. Thank you for everything and see you on the greens again! 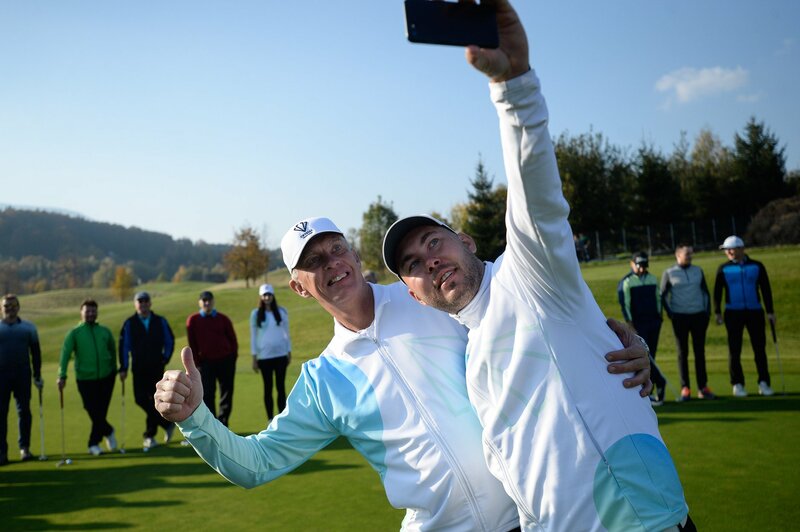 Dear Crystal Golf Tour members, we are sending you video from the final tournament at Ostravice - thank you for amazing atmosphere and we are looking forward to whole season 2019. Dear Crystal Golf Tour members, Thank you for the wonderful season of 2018. We shared a lot of experiences with you, met a great deal of incredibly positive-minded people, and enjoyed lots of exquisite golf playing on great golf courses. Let me just summarize things a bit and show my appreciation for all of you.